Bloor’s text is marked by concern and suprise over the rise of Latour’s disruptive philosophy that attacks the principles of Sociology of Knowledge, eliminating the possibility of giving a sociological account of how knowledge is produced. He articulates a careful review of the elements of controversy between his approach and how he understands Latour’s. In short, Bloor’s main points are the prevalence of the subject/object scheme and the representational nature of knowledge. In this sense, Bloor is coherent with the tradition of modern Western philosophy from which science was born: beginning with Descartes’ “Discourse on Method” and the evidence of the knowing subject as a starting point of the act of knowing, followed by Kant’s impossibility of objective knowledge, Comte’s rejection of metaphysical pregiven assumptions as a condition for science, or even Popper’s epistemology of science and the falsability criteria, just to mention some classic authors. The two principles that Bloor stands for – the subject-object scheme and the representational nature of knowledge – are the basic underlying notions of knowledge of Western tradition that have gained in complexity and nuances, but which continue to still be mainly accepted as valid. In regards to the first principle, Bloor gives a quick reflection in footnote number 2 on how the conception of the subject and its relation to the object can be subjected to many reflections, points of view or interpretations, that ultimately do not challenge the basics of the subject-object scheme. In other words, we can not know what the subject is, but for knowledge to exist there has to be a knowing subject and something that is known. It is not about the ontological definition of subjects and objects, but an epistemological difference from where knowledge emerges. Even if there is no “ontological” difference between subjects and objects, the act of knowing itself (or perceiving in a general sense) implies opening a breach between the position of the knower and the known. In fact, reflexivity is the property of the subject to turn the attention to itself, therefore taking itself as an object of knowledge: subject and object are the same thing, but they are still two different roles. Subjectivity might be only a position something (a subject) takes towards something else (itself, the world or whatever it knows), an action that implies an epistemological break that is described in the subject-object scheme. The second principle is not so explicitly defended by Bloor, who takes it as an obvious assumption that does not need to be defended. In fact, the latest scientific ideas about how we physically perceive the world support the representational nature of knowledge. It seems our eyes perceive light waves that produce electric signals in the eye’s nerves that are decodified in the brain, which projects an internal image: our view of the world is then a cognitive representation of waves of light. There are physiological and psychological conditions that mediate with the way we see the world, which in any case is just one way of seeing it, adapted to the conditions of existence for our species. So, if the basic perception of the physical world with our eyes is constructed in our brains as a representation, how can the theories and explanations we make of things be pure reality? All knowledge is by definition representational. Another question is if those representations are accurate and consistent with our experience. I find it difficult to believe, but it seems Latour positions himself not only on the side of thinkers alike, such as Stengers or Pickering, but on the side of the whole philosophical and sociological tradition! I wouldn’t dare to speak for Haraway, but Plato, Comte and Giddens are for sure nearer to Bloor’s epistemological reflections than Latour’s metaphysics. However, it seems suspicious that he doesn’t mention Leibniz or Tarde in his imaginary philosophical trench, considering that those two are in fact the non-canonical authors he really bases his work. To make a quick review: Plato’s Theory of the Ideas establishes a distinction between an ideal world and the material world, making a clear distinction between matter and intellect. Comte’s phenomenology meant the rejection of metaphysics in order to found the sciences by studying only what can be perceived. Giddens, a sociologist forged in the tradition of Durkheim, shares with Bloor the basic foundations of the discipline. The whole story of modern philosophy and science was directed to find ways of knowing the world without assuming you already know what it is. The rejection of the metaphysical speculations was crucial to develop critical methods for producing knowledge. Instead of assuming we already know what is in the world, be it monads, entelequias, gods, spirits, etc, science was born through a methodological observation and reflection over the world, building methods as tools to know the world. To such an end we need to reflect on the nature of knowledge (epistemology), in order to prove and question our methods. Privileging epistemology over metaphysics means we assume we do not know yet, while doing otherwise means that we decide what we think is happening and then we adapt our method to prove it. That is exactly what Latour is saying: politics and morals rule over methods and science. We can give him the point that political and moral bias are always there – which is in fact one of Bloor’s principles – but if we assume every knowledge enterprise depends mainly on the pregiven assumptions of the world – metaphysics – and therefore it is politically and morally guided, then we are ruining the whole scientific project. 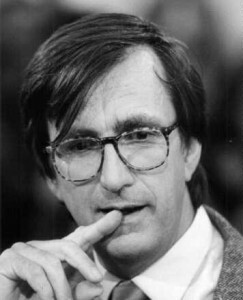 Latour’s alternative is to build on the ontology of monads, the idea that the universe is made of atoms of spiritual substance (Leibniz), as a departing point for a technoscience of which its moral and political ends are not quite clear. Although we can get some hints of this moral agenda by following the consequences of his “general” principle of symmetry – which distorts Bloor’s original principle of symmetry and that equalizes humans and machines -, and of his acritical acceptance of the hegemonic technoscientific discourses. In conclusion, instead of working on existing material entities, such as humans, animals, plants, rocks, planets, etc, with a methodology that is epistemologically questioned and based, Latour and his followers are building on the metaphysics of a spiritual substance guided by an unknown agenda. Under these conditions, when someone declares its preconceptions and moral positions come before and are more important than the desire to know the world, any chance of having a positive discussion is impossible. This entry was posted in Articles, English, Texts and tagged Bloor, discussion, epistemology, knowledge, latour, metaphysics, ontology, philosophy, science, sociology of knowledge. Bookmark the permalink. Post a comment or leave a trackback: Trackback URL.